(Ausdecorum) - The medium sized flowers of deep rich crimson develop into a beautiful rosette and are produced freely with excellent continuity. It has a pleasing fruity fragrance. 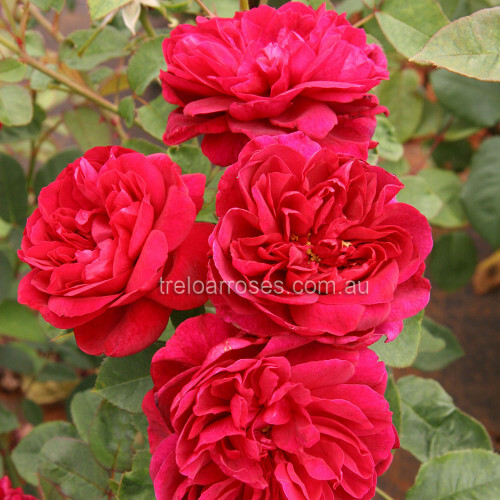 Its short, bushy growth is ideal to create a border or planting in a formal rose bed. 1.2m tall.